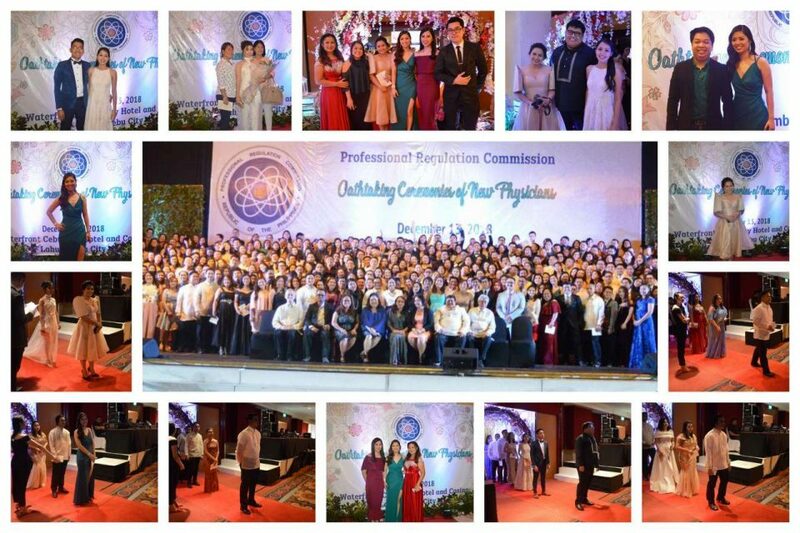 Following the much-awaited result released by the Professional Regulation Commission (PRC) in the 2018 September/October Physician Licensure Examination, MHAM proudly produced eighty-eight (88) new Matias doctors who have sworn the oath to save lives and to dedicate their lives in the service of humanity at all times. 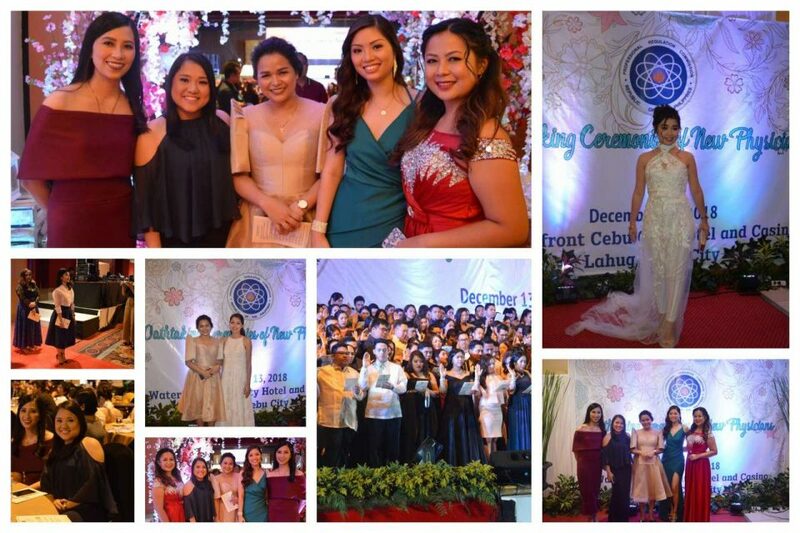 Administered at PRC testing centers in Manila, Baguio, Cebu and Davao, some of the new MHAM mavens of the field gracefully took part of the Oathtaking Ceremonies of New Physicians which was held at the Waterfront Cebu City Casino & Hotel last December 13, 2018 in the afternoon. The most recent examination was originally scheduled on September 8, 9, 15 and 16, however, the third and fourth days were rescheduled to later date on October 27 and 28 due to onslaught of typhoon Ompong. 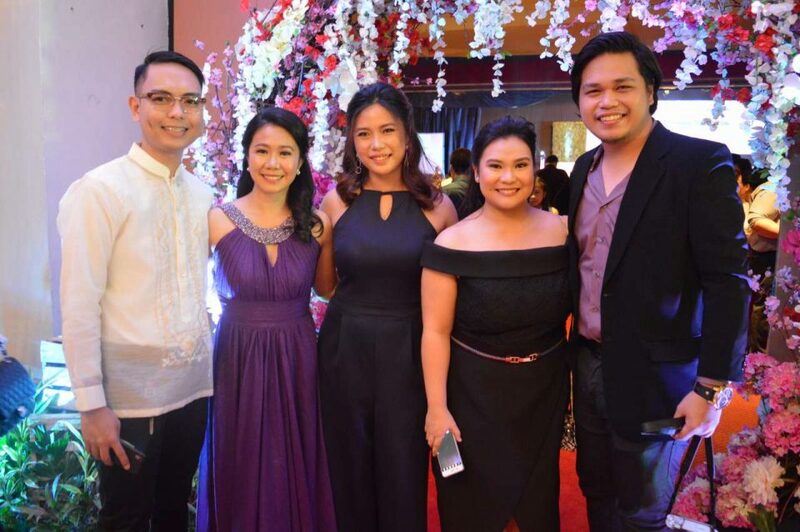 Chairman of the Board, Dr. Eleanor J. Galvez with members Dr. Edgardo T. Fernando, Dr. Eleanor B. Almoro, Dr. Ma. Graciela Garayblas-Gonzaga and Dr. Clarita C. Maaño, gave the licensure examination, respectively. 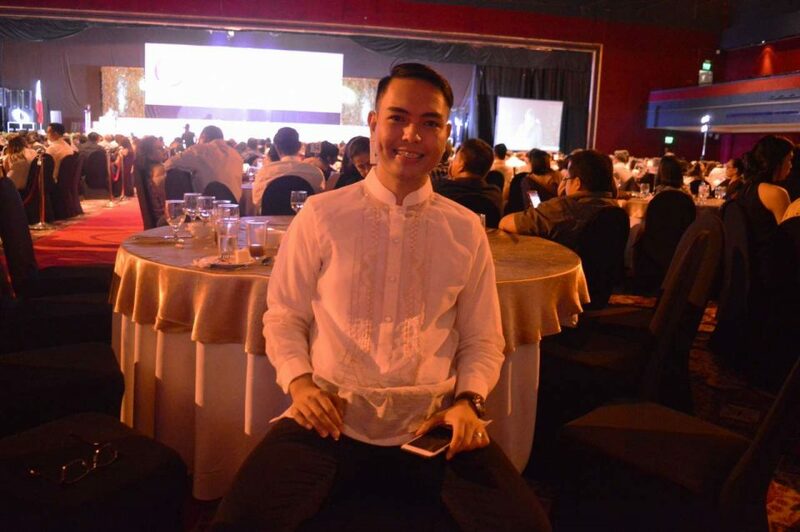 Beaming with the visible sign of utter fulfillment through his undying smile during the oathtaking ceremony was a Matias doctor from Valencia City, Bukidnon. A graduate of BS in Nursing prior to becoming a licensed medical doctor, Dr. Stephen Ferrera Montero who is always fascinated with human anatomy is also empowered by the power of his lifetime motto that says, study hard, pray harder. 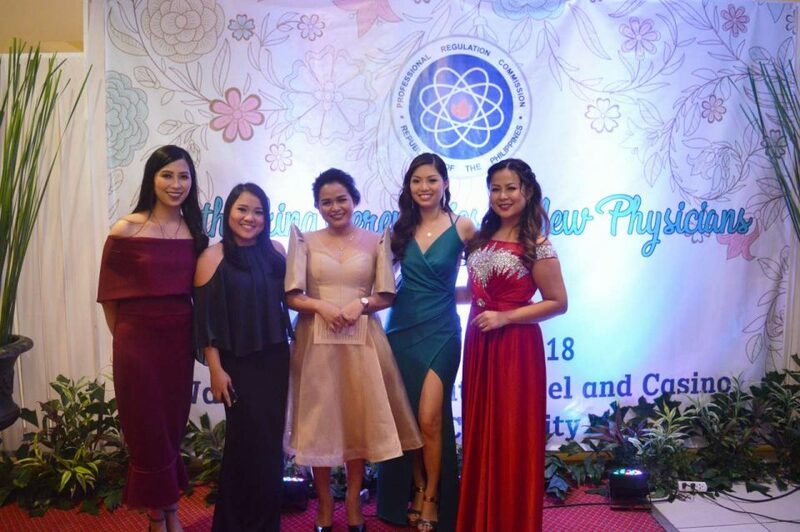 “After all the sacrifices made by my family just to send me to a medical school; the 36 hours duty shift; the anxiety attacks that led me to taking alprazolam during review before taking the board exam; that moment when I saw my name on the list of passers, everything was worth it. Yes, it was. I had that ‘cloud 9’ moment that everyone was talking about. I made my parents proud. To look at them with smile on their faces is completely heartwarming”, Dr. Montero said in an interview. 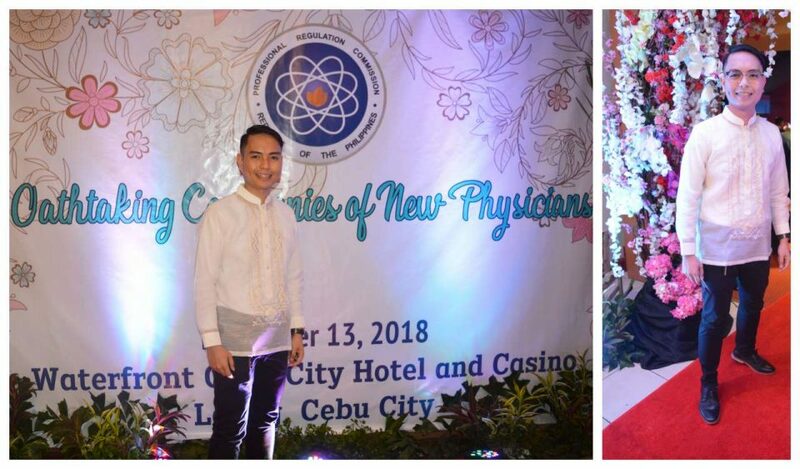 With his plan to teach to a medical school and to save up for the coming residency training ahead of him, the new Matias doctor of 2017 looks forward beyond shadow of a doubt to catch up with his family and friends whom he totally missed due to the grueling years in medschool. “It has been a very long time since I felt too excited, the way-over-the-top excitement kind of emotion. For four years of studying Medicine including clerkship and another year for internship, I never had the exact confidence that I’ve wanted right before taking an exam, even after spending hundreds of hours studying. After abandoning the so called ‘social life’, of not being able to attend the weddings of my best friends, their firstborn christening, and all those moments that I was supposed to be present, were never enough to give me the exact confidence that I need as I never quit. Now I can catch up with my family and friends for all those years in medschool that reservedly robbed-me-off from social connections. Before I took up Medicine I was always fascinated with the human anatomy. It gave me so much interest that it became my favorite subject. During my clerkship and internship program, surgery rotation stood out most for me. Now that I got my license as a medical doctor, I’m planning to pursue surgery later this year when an opportunity opens since most of the slots were closed after the board exam delay”, he added. Being a Matias product that shaped his medical journey with his commitment to save lives and beyond, Dr. Montero is forever grateful to his Alma Mater wherever he may be in the mission field. If there is one essential thing that MHAM has taught me, it would be the shaping of character. I realized that academic excellence is not everything. Yes, it is needed for you to be equipped for the coming battery of exams ahead but it’s not everything. The other important thing that almost everyone took for granted is the character. That 1,200 items on board exam will not define you as a doctor, hence, your attitude does. What about having really good grades but fails to exhibit a good patient-doctor-relationship? What if you were academically excellent yet your arrogance soars high above everything else? Your attitude will help you gain that skill you never had before. As what Charlotte said, “Admitting that you need help does not make you broken. It makes you fixable and teachable”. And you will never have that if you don’t have the right character. MHAM taught me this”, Dr. Montero concluded. Together with other college deans, MHAM Associate Dean for Basic Sciences, Dr. Allan Librando graced the half-day event in behalf of MHAM. 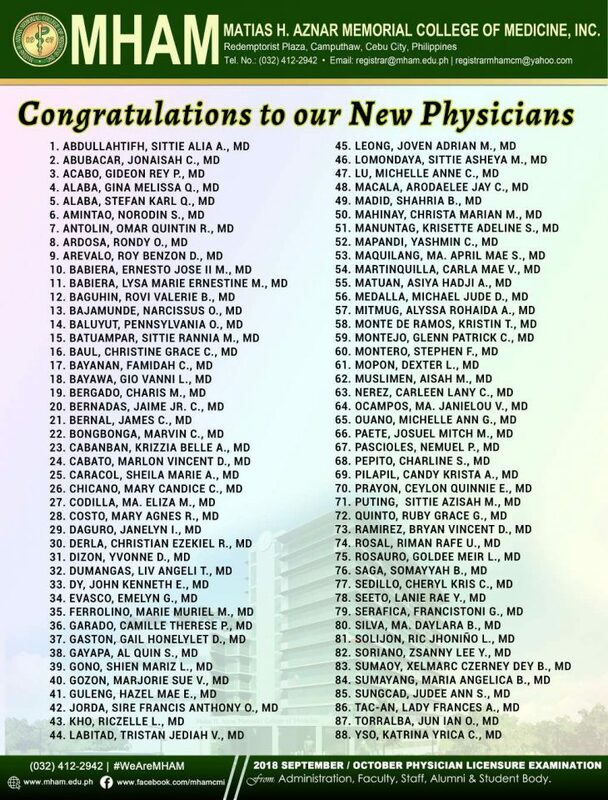 The September/October PLE successful passers from participating medical institutions who took the Hippocratic Oath were challenged to perform their commitment to patient care aside with purposeful and heartfelt service to humanity.